Along with The Soft Machine, The Family (as they were initially styled) were one of the few bands from outside the Home Counties to make a splash on the London underground scene after leaving their Leicestershire base in 1967. The immediate result was “Scene Through The Eye Of A Lens”, not a hit but nevertheless one of the finest 45s to spring from the UK psychedelic pool, before the band set to work on their debut album with the assistance of hands-on producer Dave Mason. 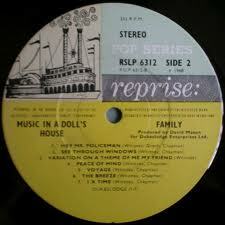 Bedecked in intelligent but heavily lysergic lyrics, the hugely ambitious Music In A Doll’s House evokes the era as eloquently as anything, with seminal songs like “Me My Friend,” “Hey Mr Policeman” and “Peace Of Mind” matched all the way by Mason’s barnstorming (over)production, which utilized backwards mellotrons, violin feedback, trumpets, the obligatory phasing and Roger Chapman’s aquired taste vibrato vocals to create a swirling, perverted, densely hallucinatory wall of sound. 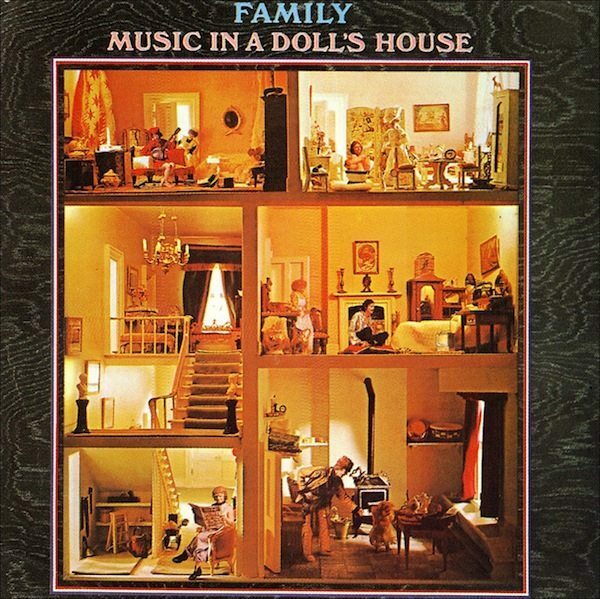 Released in July 1968 in a memorably intricate sleeve design, Music In A Doll’s House was a minor commercial success: it also put paid to The Beatles’ tentative plans to name their forthcoming double album A Doll’s House after the Henrik Ibsen play. 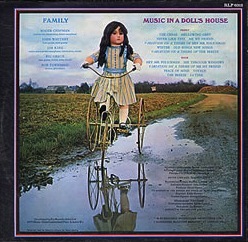 And while the second Family LP, Family Entertainment, also contained a number of top-grade psychedelic thrills before the band become one of the better acts operating within the UK progressive rock mainstream, Music In A Doll’s House is their definitive early creation. 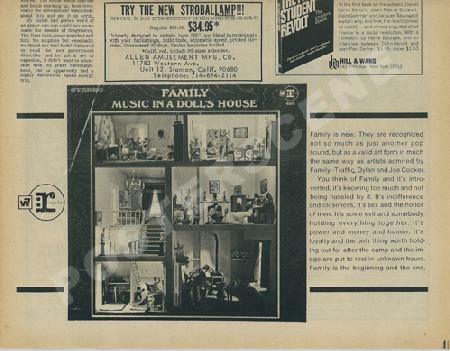 “Old Songs, New Songs” features a cameo from the Tubby Hayes group. 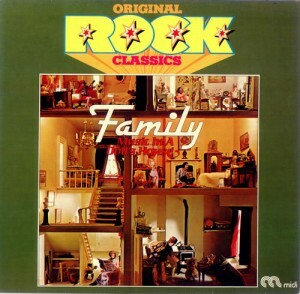 This album was initially issued in the US using the UK import and sold in the US as a domestic album (with an extra piece of cardboard to stiffen up the sleeve). Around the time the second album was issued in the US, US pressings of this album started to appear. In the Q & Mojo Classic Special Edition Pink Floyd & The Story of Prog Rock, the album ranked number 30 in its list of “40 Cosmic Rock Albums”.